Sit back and relax with this family-friendly show that’s perfect for everyone! The Popovich Comedy Pet Theater at Planet Hollywood Resort and Casino showcases plenty of four-legged furry friends performing outrageous acts. This unique and hilarious evening includes a ringleader and Moscow Circus Superstar Gregory Popovich, who’s best known for his incredible juggling skills. Great show for the entire family! 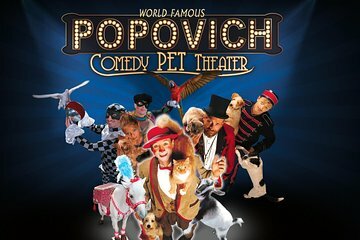 The Popovich Comedy Pet Theater at Planet Hollywood Resort and Casino is a family-oriented show that’s guaranteed to entertain! Experience the thrill of world-class juggling skills and the non-stop fun of talented cats and dogs showcasing their incredible skills. This one-of-a-kind performance has been featured in People magazine and other popular publications, and ringleader and Moscow Circus Superstar Gregory Popovich has even been featured on The Late Show with David Letterman and The Tonight Show with Jay Leno. Your afternoon or evening of Comedy Pet Theater offers the option of VIP seating or general admission. The impressive jumping, flying and balancing of rescued furry friends is perfect for any age! This was a good show. I wouldnt pay to see it again but if your trying to waste time in Vegas then it is a cute show. This show sounded corny, but my daughter insisted we go as one of her choices for our Las Vegas trip. We went the second night in Las Vegas and I am so glad we did! The show was amazing! You can't imagine all the things that Popovich could train animals to do. He is quite a showman and the show combines fantastic juggling, balance, tricks, and comedy. This show was every bit as enjoyable as the other shows we saw including the Beatles review, a magic show, and Circe de Soliel. Definitely NOT JUST for KIDS. Went here a few years ago and forgot to review it. Fun for all the family, would recommend buying the VIP ticket as you get to sit right at the front. Kids will love it. Good show for the whole family. The only drawback was not enough acts with the animals, but the acrobatic and juggling acts by the human performers were amazing. Definitely aimed toward kids - all the kids in the audience loved it. It was cute but did not change my life. The show itself was brilliant and our Viator tickets gave us great seats. Get there early though as we got there 20 minutes early and were faced with long long queues with little direction as to where to exchange our vouchers. The staff outside who were managing the queues had one pace and that was DEAD SLOW!! And the staff showing us to our seats were bordering on rude. No scrap that they were rude, without absolutely no provocation. So perhaps exchange your tickets when you have free time well before show time. The show was absolutely brilliant and the children loved it and so did we! The show itself is excellent. But plan ahead with about 45 minutes before showtime to get your tickets. Having the printout from Viator is not enough, you must still stand in an extremely slow line to pick up the actual tickets. This was one of my favorite shows and my daughter loved it. I highly recommend this show for the entire family, you won't be disappointed. Okay for small children but very silly and not for adults.  Great for young kids and impressive acrobatic and juggling acts.